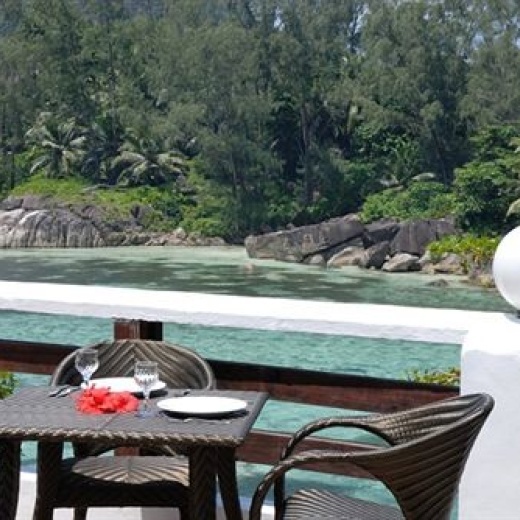 Located in the picturesque village of Port Glaud, on the West coast of Mahé, the main island of the Seychelles archipelago. 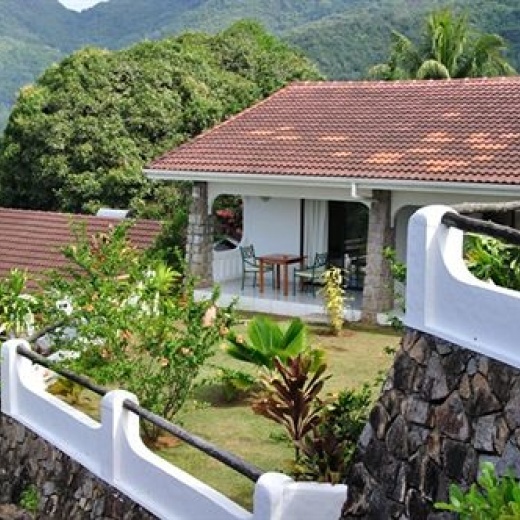 Perched on its own little hillock in the shadow of the Morne Blanc, just a few minutes walk from the beach and a superb waterfall, the resorts offers a vacation that combines the pleasures of swimming, snorkeling, diving and boating with the peace and quiet of the surrounding tropical countryside. 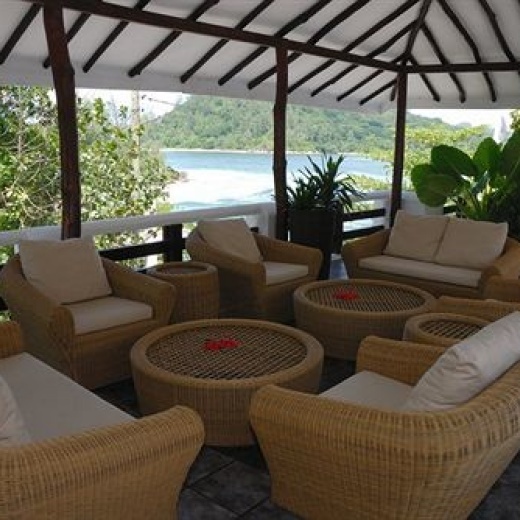 All bungalows have a private garden from which the occupants can enjoy their own unique view of the surrounding bay. The 1-bedroom bungalow can accommodate a maximum of 2 adults and 1 child under 12 years. It's equipped with air-conditioning, ceiling fan, IDD (International Direct Dialing) telephone facilities and a room safe. 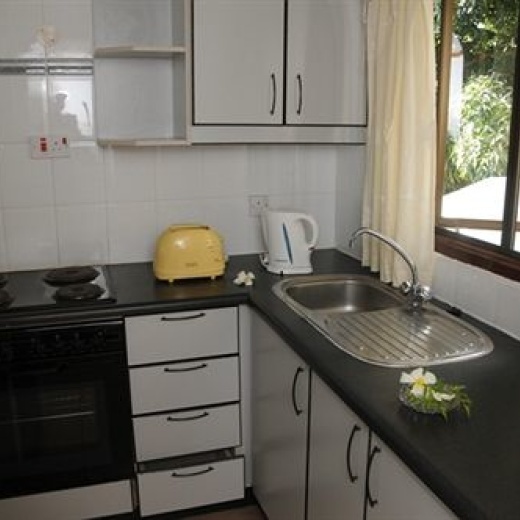 Being a self-catering establishment, the bungalows are each equipped with a modern, compact kitchenette to enable clients to prepare their own meals. To cool off after a day in the sun, clients have a choice of en suite shower or bath facilities. For those who would rather spend more time on the beach, there is always our own open air restaurant overlooking the bay of Port Launay. The restaurant serves seafood specialities, à la carte. Bar facilities are available throughout the day.